About 200,000 skilled-foreign workers come to work in Canada by applying for the Temporary Work Permit visas every year. 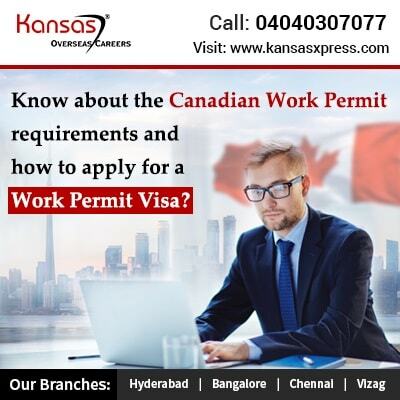 Canadian Work Permits are also called as Work Permit Visas offered to such skilled labor to work in Canada. Without experiencing the points-based assessments, the Canada Work Permit Visa provides a provision for the skilled immigrants to work in Canada. However, to successfully work in Canada using the Canadian Work Permit Visa, the skilled-foreign workforce should have an employment offer from a prominent Canadian company and approved with a Labour Market Impact Assessment (LMIA) document. There are various required documents that you need to submit to get Work Permit Visa if you are currently residing in a country outside of Canada. IRCC needs your Work Permit Visa application including LMIA document in most of the cases. The LMIA is a key document that your prospective employer/company obtains from the government once they are contented that there are no currently accessible Canadian or permanent residents to take the job to work. If you wish to apply for a Work Permit Visa and currently residing in Canada, then you should qualify all the conditions that an outsider applying for a Canadian Work Permit should undergo. All these needs check whether you are entitling all the desirable qualifications, work experience to stay and pursue your living in Canada on a temporary basis and have a valid employment offer in hand. Sometimes, IRCC also needs your complete medical examination and criminal record checks before they approve your Canadian Work Permit. If you are currently working in Canada on a Canadian Work Permit that is going to expire shortly, and you have submitted your application for permanent residence via Express Entry system, then you can entitle for a Bridging Open Work Permit (BOWP). BOWP is intended to link the gap between the expiry of your Canadian Work Permit and the final decision to make on your permanent residence application. If you are foreign skilled worker and planning to apply for Canadian Work Permit, then get your profile checked with the eligibility requirements quickly with the prominent Visa Agents. The Visa Agents guide you the relevant programs that are currently available. Kansas Overseas Careers is one of the prominent Visa Agents that are in various parts of India. Get in touch with the Kansas Overseas Visa Agents to undergo your profile assessment today. you can fill the free visa assessment form.